The first hole was halved in pars. USA birdied the par-4 third hole to go two up. Eighth hole halved in pars. Hole 11 halved in pars 4s. USA still three up. Hole 12 also halved in pars. Hole 15 GB and I won with a birdie 3 to be only one down for the first time since the sixth. GB and I squared the match with their third birdie in five consecutive holes ... a fighting finish. Both pairs were two under par at the finish. Second hole halved in par 4s. Third and fourth holes also halved in pars. Ninth hole was halved in birdie 2s. The 14th was halved in par 5s. 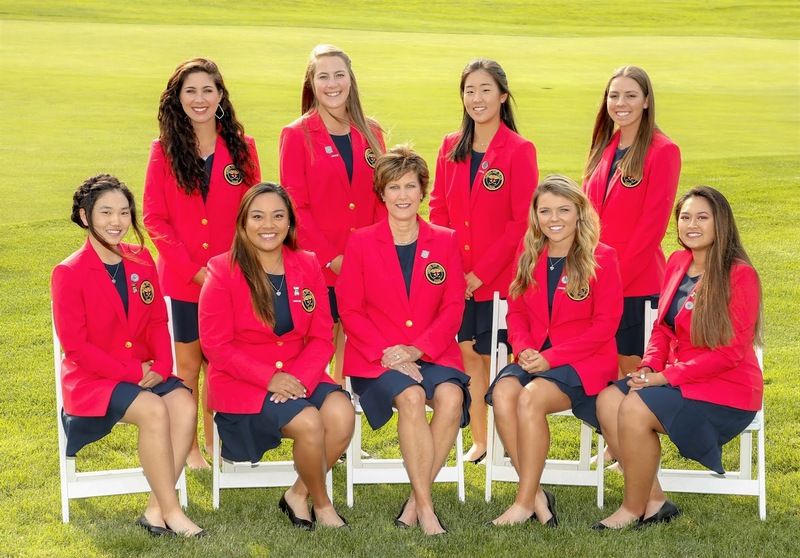 USA produced their fifth birdie in a seven-hole stretch to win the 15th and the match 4 and 3. The Americans were seven under par for the 15 holes. The GB and I pair were three under par at th finish but trailed from the first hole. GB and I birdied the par-5 first hole to go one up. Third hole halved in pars. Fourth hole halved in pars. GB and I birdied the short fifth to go one up. Sixth hole halved in pars. GB and I birdied the par-4 seventh to go two up. 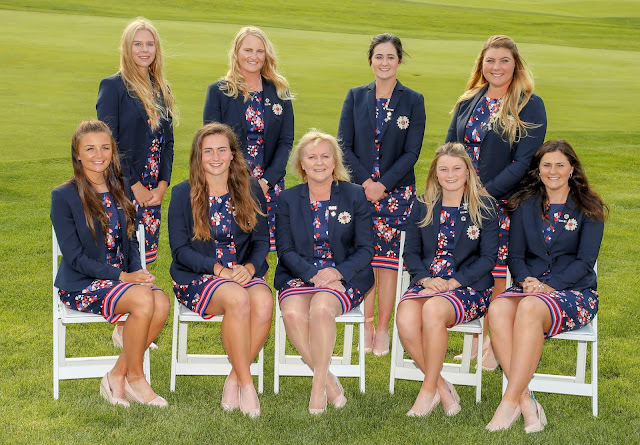 USA won the eighth with a birdie 3 to be only one down. The 12th and 13th holes were halved in pars. USA birdied the par-5 14th to cut the GB and I lead to only one hole. USA also birdied the par-4 15th to square the match for the first time since the fourth hole. The Americans kept up their strong finish with a birdie 3 to win the 17th and lead for the first time in the match. But GB and I birdied the 18th to salvage a halved match in a tie in which they were twice two up.